Database Systems Corp. (DSC) is a leading supplier of computer telephony integration (CTI) including calling solutions that broadcast messages to individuals and to answer machines. Since 1978, DSC has provided its clients with the latest technology in database and computer software solutions. These products include call center software with interactive voice response (IVR) and voice message broadcast capability. "Broadcast messaging (or voice message broadcasting) is a mass calling technology that involves sending phone messages to hundreds or thousands of call recipients at once. Broadcast messaging technology has both public service and commercial applications. Companies can send calls to clients or alert messages can be delivered to community members in the event of an emergency." Using voice message broadcasting, pre-recorded phone messages can be sent to either individuals or played on answer machines. If our message broadcas dialer detects a no answer condition or busy signal, the message can be scheduled for delivery at a later time. Complete online reports are available to view the effective delivery of phone messages using this technology. Contact DSC to learn more about our how to broadcast phone messages to your clients and community members. 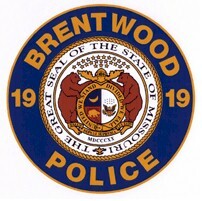 Our CARE phone system, using our voice broadcasting technology, was provided to the City of Brentwood Police Department to check on the well-being of disabled persons, older adults, and individuals who live alone within the city limits. For an online tour of our phone service, visit our voice broadcasting demonstration page. If you are unable to use our online voice broadcast website, you can call our 800 number, record your message, select a saved list of call recipients, and initiate the broadcast. 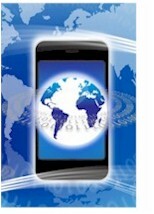 Message broadcasting software from DSC allows developers to create custom applications affiliated with a calling campaign. When the call is delivered to an individual, an IVR software script can be invoked that leads the caller through menu options. These options include transfering the call to an operator or outside phone extension. The following are just a few of the features of our message broadcast and IVR software. Contact DSC to learn more about our message broadcasting technology.